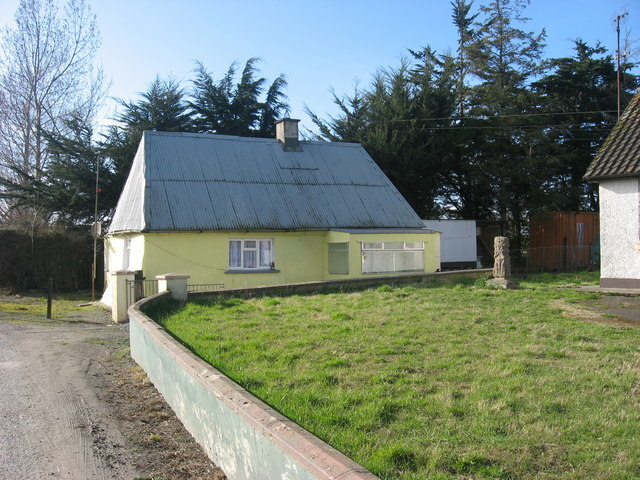 In 'A History of Julianstown' it is stated that this was the house of local poet Tomás Ó Briain (1852-1906). The 1836 O.S. 1st edition six-inch map shows the house and, beside it, an 'R.C. Chapel' on site now occupied by modern house just visible at right. It was probably when the chapel opened in 1805 that the 15th century cross shaft was moved here from a place called Croc Phobail in nearby Claristown where mass was said in Penal times.